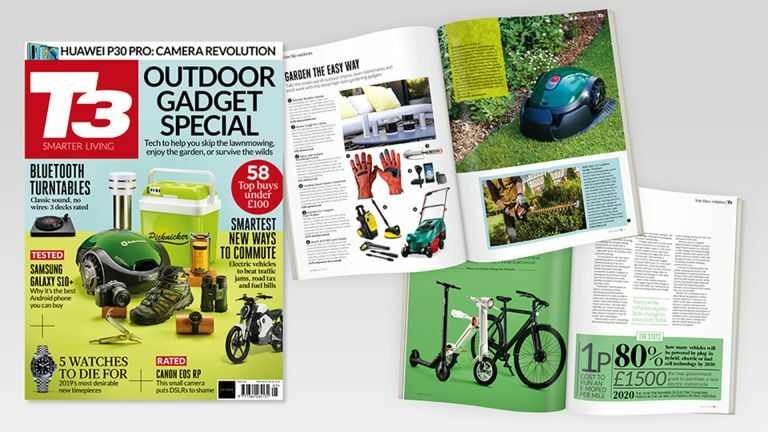 The new issue of T3 magazine is on-sale now, and our Outdoor Gadget Special features fantastic tech to help make everything from gardening to mountaineering easier. We've got robo-mowers, clever tents, battery packs to last you a week in a field, watches with maps in, survival gear, mini electric vehicles that can save you time and money on your commute, and a camera with a high-end sensor in a travel-friendly body. And that's just a taste – you can read a sample of the issue right in your browser below! We've also reviewed the new generation of Bluetooth-connected turntables, we've got 2019's hottest watches, we give you our final verdict on the Samsung S10+, we pick out cleaning tech to make that spring spruce a doddle, we rate top new Bluetooth headphones, we try a tablet that turns into an Alexa smart display when you dock it… and more! Subscribe for a year and get FREE headphones worth £59.99!